Apprenticeships have hit a record high with more than 500,000 new starters in the last academic year. Business Boost, with the support of local provider PM Training offers part-funded apprenticeships as part of a prize package. 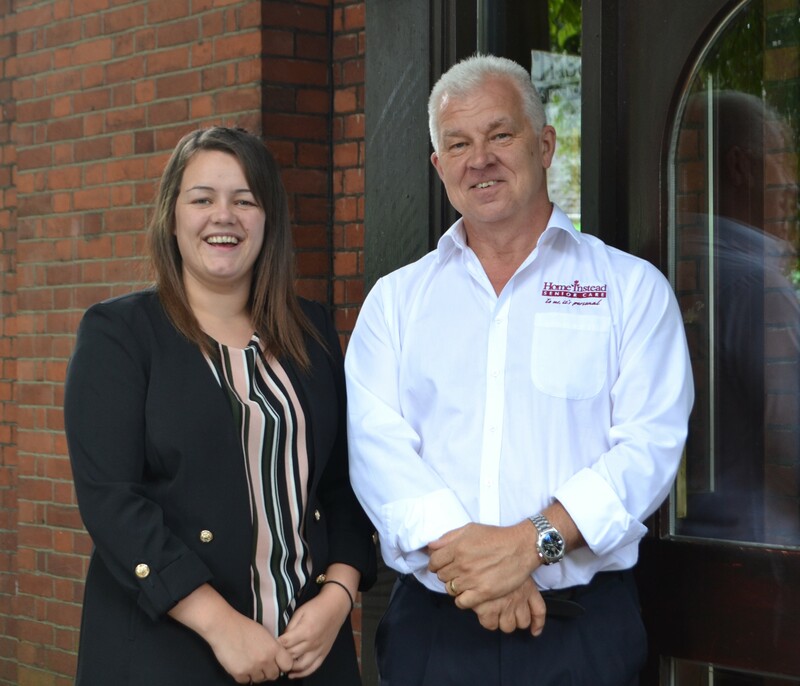 Here, we look at the success of Chelsea, a former apprentice, who has become an integral part of a Newcastle-under-Lyme business. Paul Edden of Home Instead is the first to admit he wasn’t looking for an apprentice when he entered the Newcastle-under-Lyme Business Boost Awards in 2010. “We were quite new on the scene and, like many entrants into business awards and competitions, we were simply looking to raise awareness,” explained Paul. “But we were lucky enough to be among the winners and were given the chance to take on an apprentice from PM Training. I’m a former BT apprentice and really value the opportunities it gave me and we, therefore, jumped at the chance. 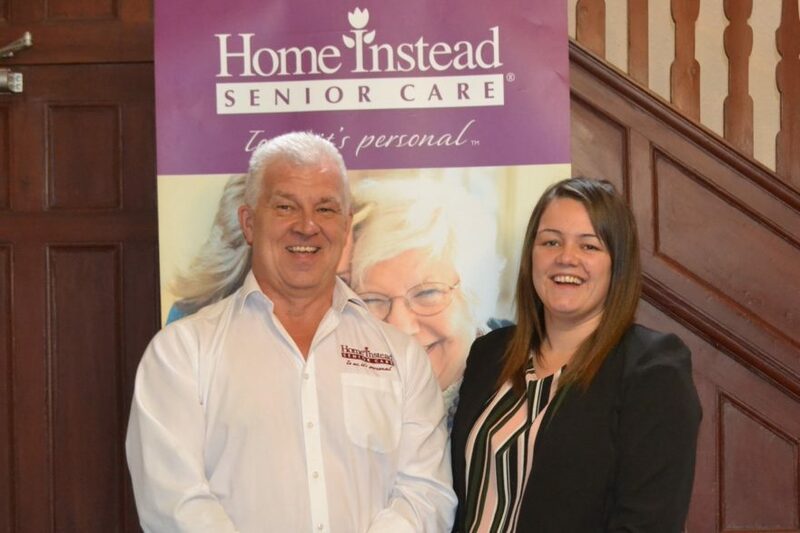 Paul, who helped set up the Home Instead master franchise in the UK, now owns and manages the Newcastle-under-Lyme and Stoke-on-Trent Home Instead office. Following meetings with PM Training, Home Instead took on Chelsea Mincher, a 17-year-old from Knutton, Newcastle, on a four week trial. Paul added: “Chelsea has been with us for seven years. At the start, it was just me, a care manager and Chelsea, so she has seen the business grow and change. “At that stage, we all had to turn our hand to whatever task was required and Chelsea was always willing to get fully involved. We now have nine full-time office staff and Chelsea plays a key role as she manages the assignment of jobs to our 55 care givers. “It is a complex job as staff have a variety of work patterns and we pride ourselves on maintaining continuity, ensuring that our Clients get the Caregivers they are familiar and comfortable with. Employing an apprentice is an investment in the future, according to the National Apprenticeship Service. More than 90 per cent of companies that have taken on apprentices believe this leads to a more motivated and satisfied workforce and 80 per cent have seen a significant increase in employee retention. Meanwhile, 81 per cent of consumers say they look favourably on companies who employ apprentices. Business Boost is again partnering with PM Training to offer part-funded apprenticeships as part of the prize package in the 2017 awards programme. To learn more about how to enter Business Boost please go online to www.businessboostawards.org.uk.